The Los Angeles Rams are coming out of their Week 8 bye at 5-2 no longer atop the NFC West (what a damn game…) ready to put together what should hopefully be a successful playoff push starting in November. Here’s how the run looks next month. Like the Rams, the Giants are coming out of the bye week. Unlike the Rams, they are 1-6. Let’s not cast aspersions. Lord knows that we Rams fans have seen plenty of relatively pointless Novembers and Decembers. And credit to Big Blue View for being honest enough to admit as much and begin looking to 2018 in earnest. It sounds as if the Texans are already second guessing Head Coach Bill O’Brien after yesterday’s demoralizing loss. It seems a fair question. BOB is in his fourth year as head coach after three 9-7 campaigns. 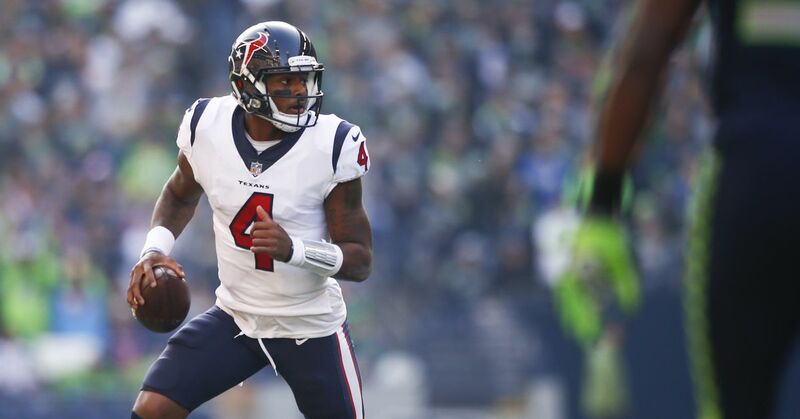 After hitting on drafting QB Deshaun Watson, the Texans clearly have a window opening. Should they fail to take advantage of it, it would represent much more than a missed opportunity. This is now an organizational effort to get right for GM Rick Smith. Quickly. As for the game itself…yeah, this is gonna be awesome regardless. The Vikings have always been a comic foil for the Rams as the better brand of Fisherball in recent years. This year though, they’re especially hilarious for being better at it than any Fisherball team while doing so with QB Case Keenum. Now, though, the Vikings appear to have a bit of a conundrum approaching. With their bye week coming this weekend, they’ll head into Week 10 with QB Teddy Bridgewater potentially available to play for the first time since injuring his knee in practice in 2016. So while we’ll be gearing up for a battle between QB Jared Goff and Watson, I might suggest keeping an eye out a couple hours early to see who’s quarterbacking the Vikings in Week 10 as they head to DC to take on the Washington Folks. Don’t look now, but the Saints have learned how to play defense. The last three seasons, their Drew Brees-led offense was always a potent attack that was continually stymied by one of the NFL’s worst defenses. No longer. The Saints are 13th in points allowed and still one of the best offenses as they’re riding a five-game win streak. Their only losses this year? On the road against the aforementioned Vikings and at home against the New England Patriots. Thankfully, we’ll get some more intel on them in these next few weeks as they play the Tampa Bay Buccaneers, the Buffalo Bills and Washington before coming to LA the weekend after Thanksgiving. It’s quite unbelievable how different a position the Rams are this season compared to years past. The acceleration of the team’s trajectory under Head Coach Sean McVay has certainly shifted expectations compared to those of just two months ago. So while the Giants certainly look the softest target of the four, there’s no reason the Rams can’t compete throughout the month and head into December looking to play a vital part of the playoff standings in the NFC.